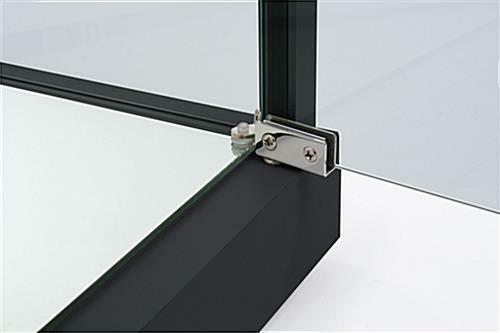 This LED light tempered glass display has a swinging door that locks securely with key. 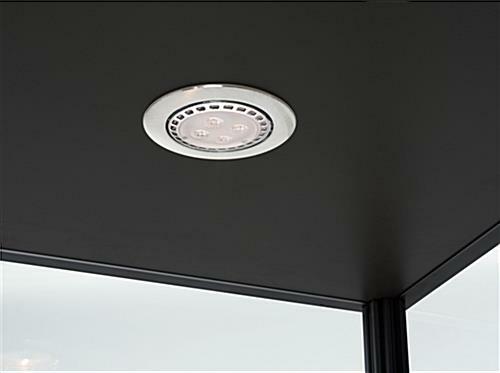 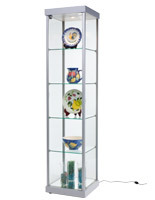 These units are ideal for use in private and public settings. 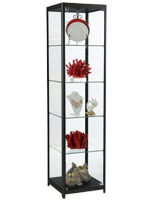 A tempered glass display with black frame has glass doors that open wide enough to fit large products into the showcase. 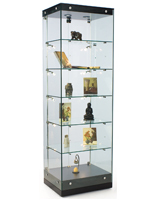 Employees can easily remove merchandise from the cabinets with such a wide opening. 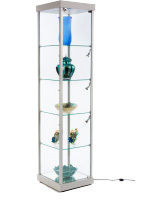 This tempered glass display, that has one overhead light, illuminates products placed on the shelving from above. 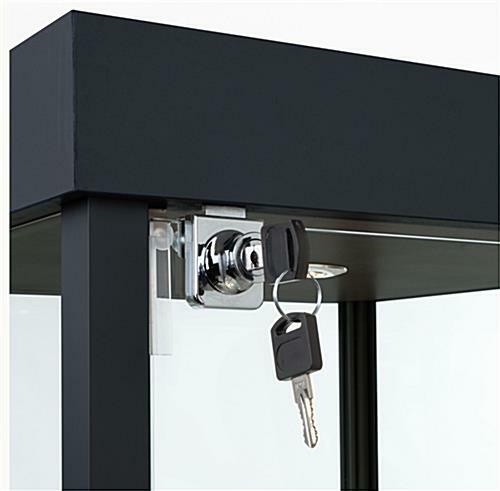 The unit is equipped with a lock and key as well. 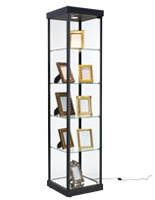 This store fixture, tempered glass display is an excellent choice to showcase sale items, high end electronics, jewelry, watches, and collectibles securely in one place. 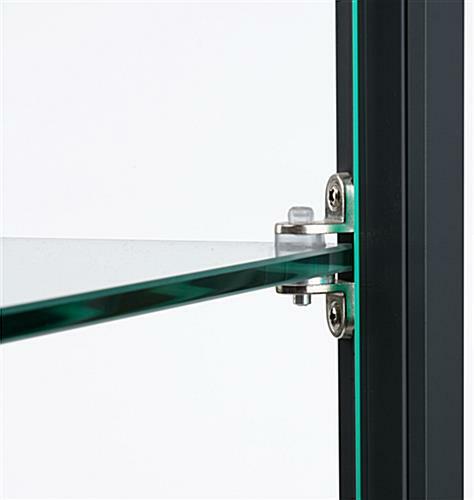 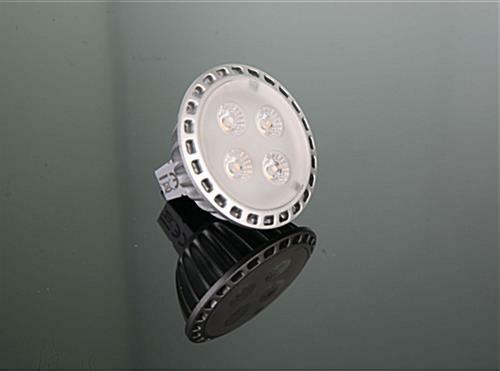 The hardware features a chrome finish, which complements the black frame. 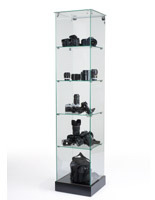 A tempered glass display is ideal for contemporary retail stores!